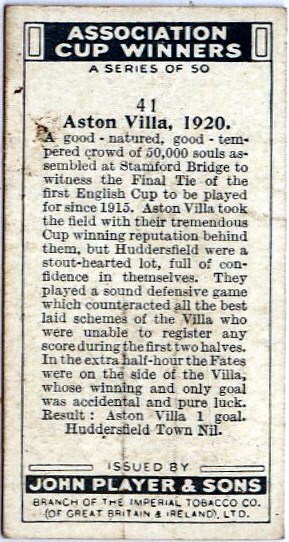 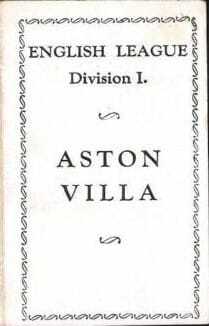 Moving into the 1930s, Villa had to relinquish their claim as kings of English football, as Arsenal went on the rampage, on a par with what Villa had done in the 1890s, winning cups and league trophies galore. 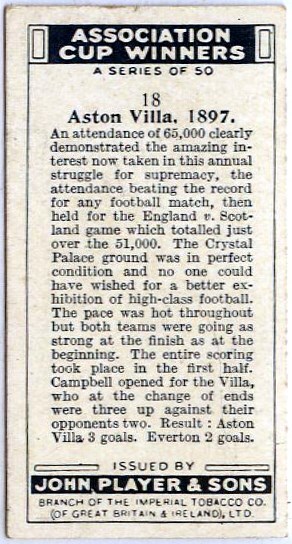 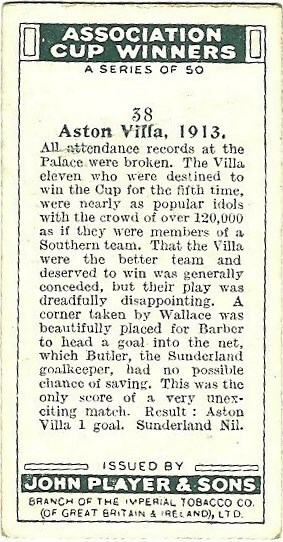 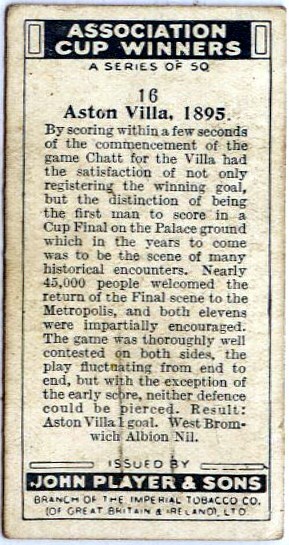 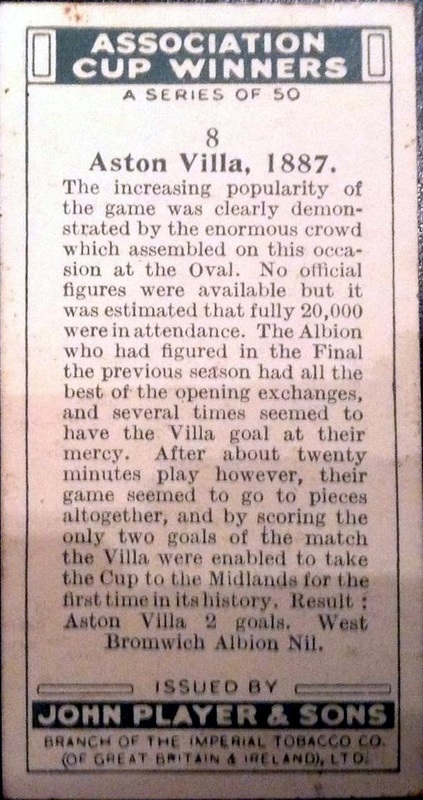 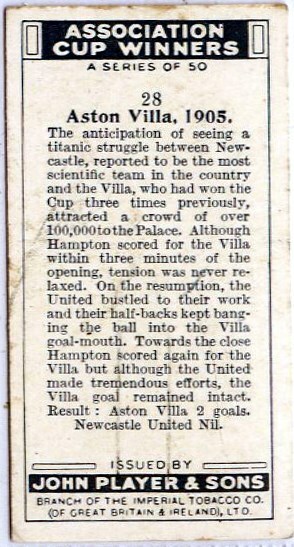 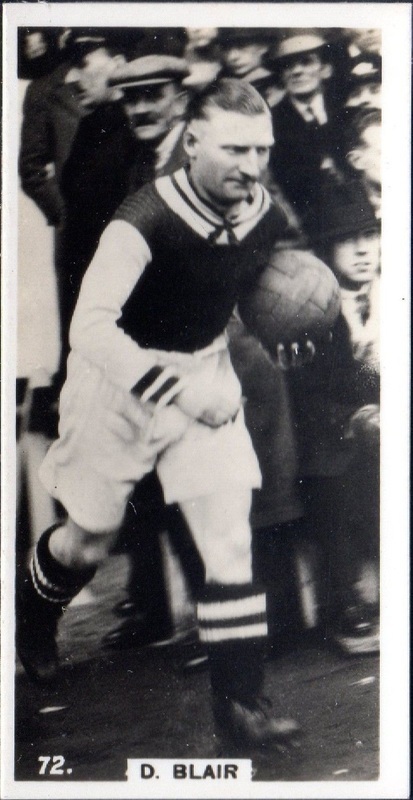 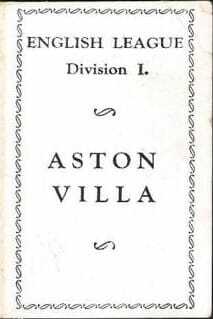 In 1930-31 Villa scored an all-time record 128 league goals, 49 of them from Pongo Waring alone, but the Gunners still pipped Villa to the league title - something they did again two years later. 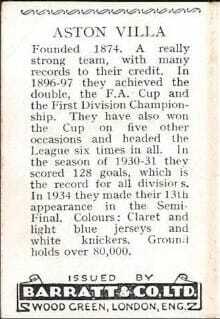 Commemorating the sides who had won the FA Cup. 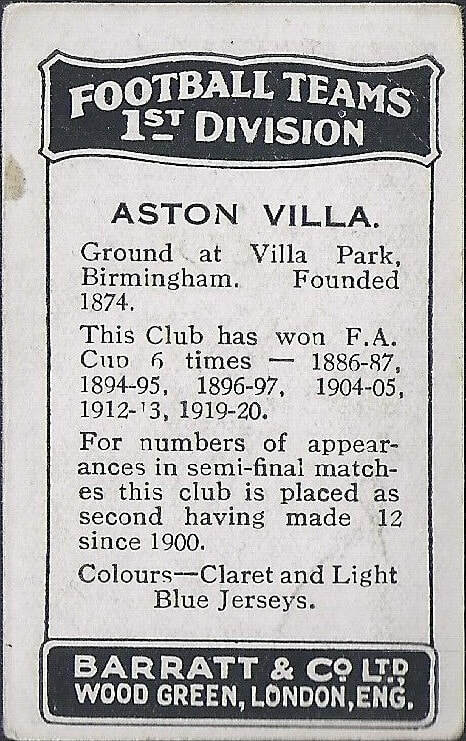 Villa then held the all-time record with six wins. 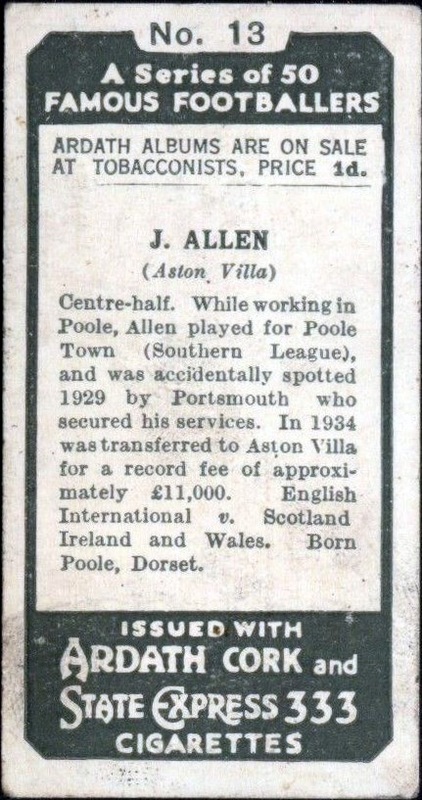 Given away with the magazine on 5 April 1930. 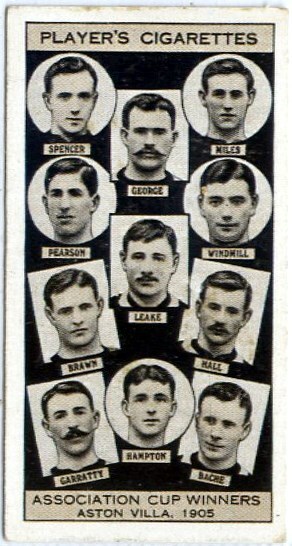 The card also had a photo of the Rangers team. 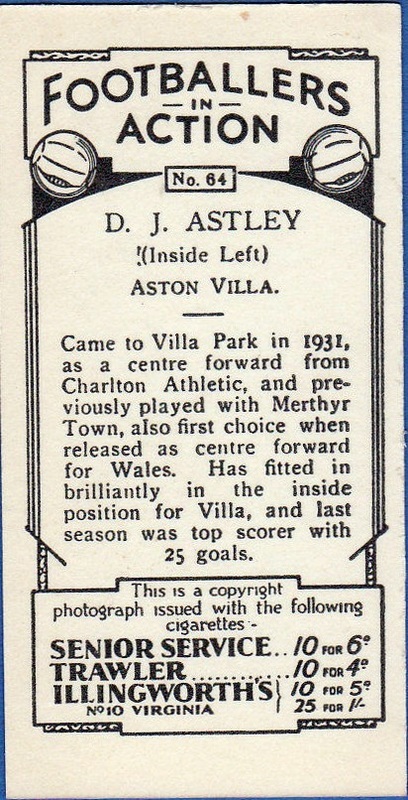 Given away with the magazine on 3 October 1931. 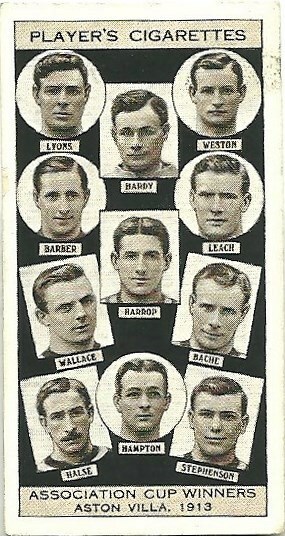 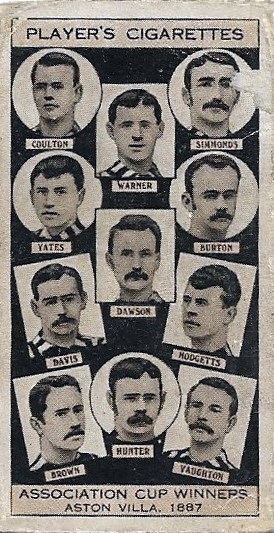 The card also had a photo of the Bristol City team. 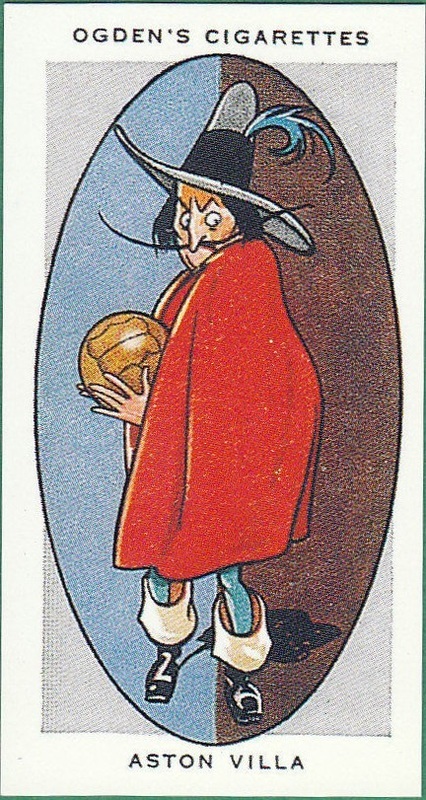 Style reminiscent of the Cohen Weenen cards of c1900. 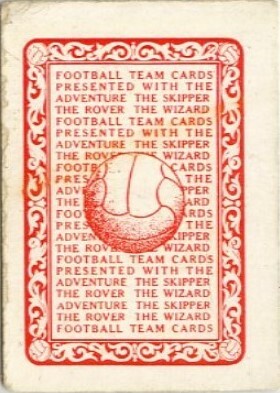 Series of 100 cards covering various sports. 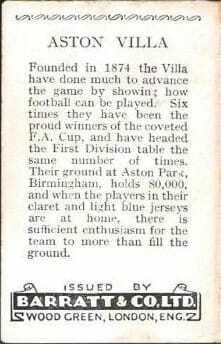 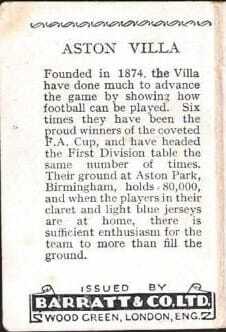 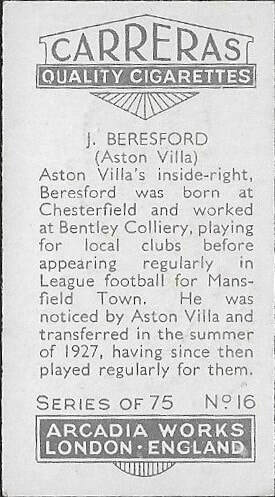 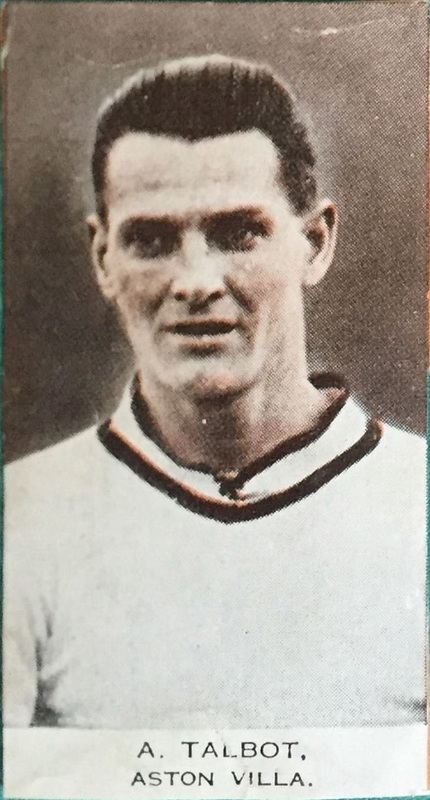 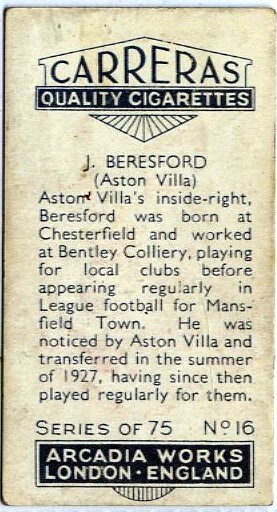 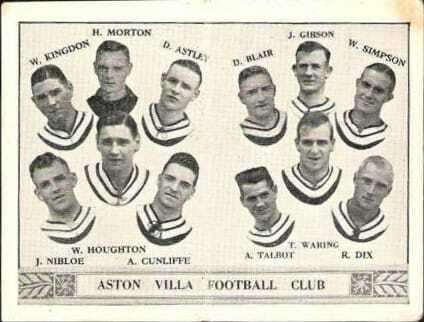 Of the footballers there may be other Villa cards which we have yet to identify, since no clubs are stated. 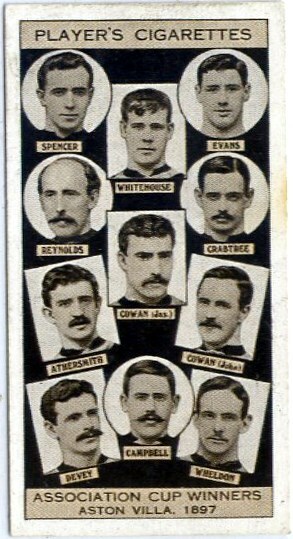 Cards are smaller than the usual cigarette cards. 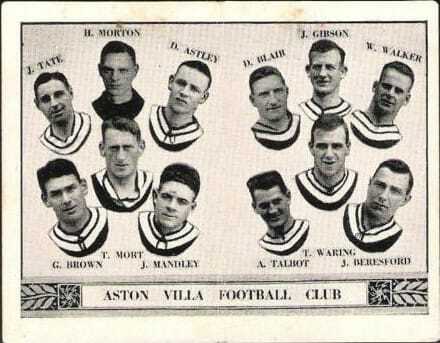 A set of 137 (plus many variants) featuring eight Villa players - although there is supposedly another with Ronnie Starling pictured, which seems unlikely since he didn't join Villa until the start of 1937 (it's possible there was a later re-print). 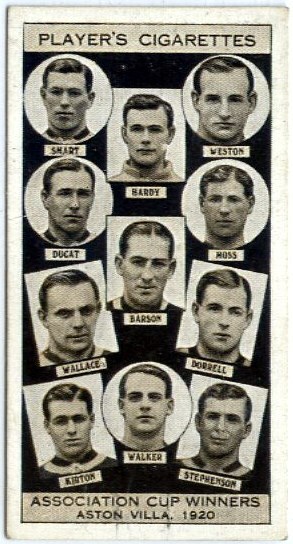 These cards were printed on the packets and cut out, therefore having plain backings. 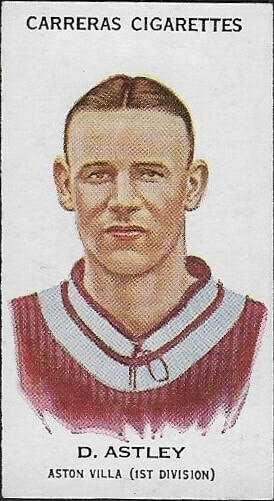 This set was also issued by Hignett (see below). 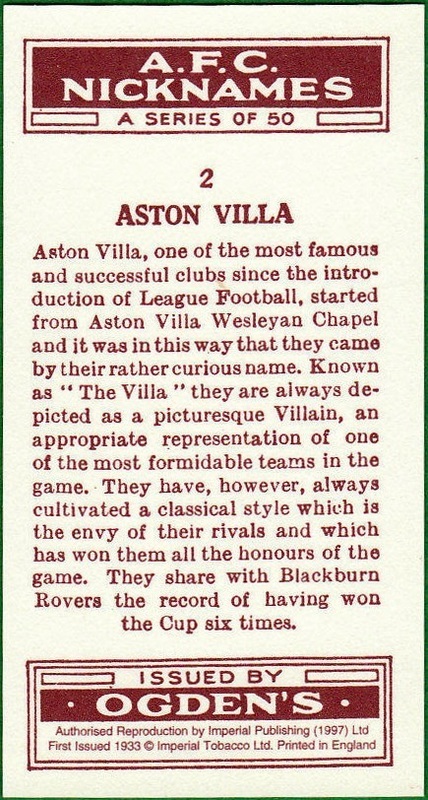 Re-printed 1996. 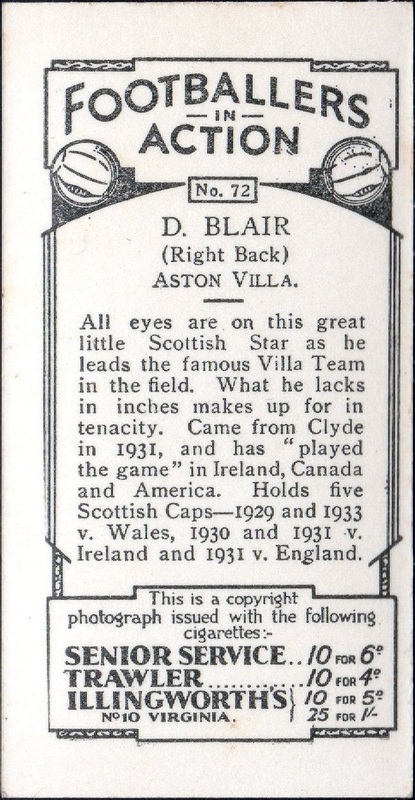 Printed in blocks of four, and sold as inserts in comics. 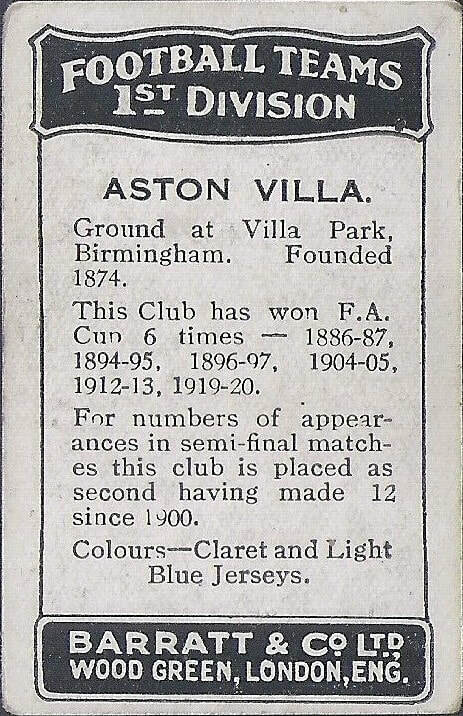 There are at least two different blocks with the Villa card included. 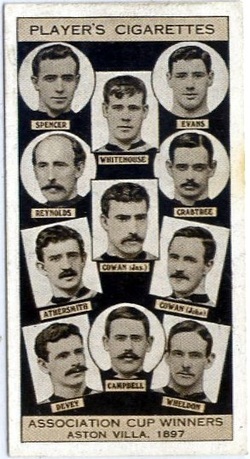 This set was also issued by Ogdens (see above). 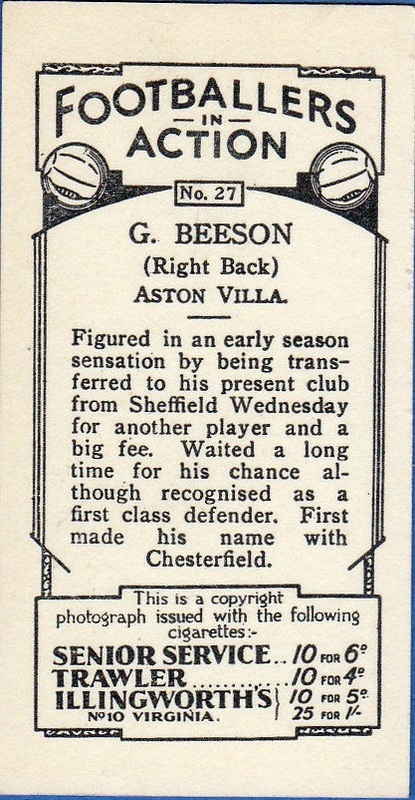 Presumably styled after the Lambert & Butler series of 1931, itself based on earlier cards. 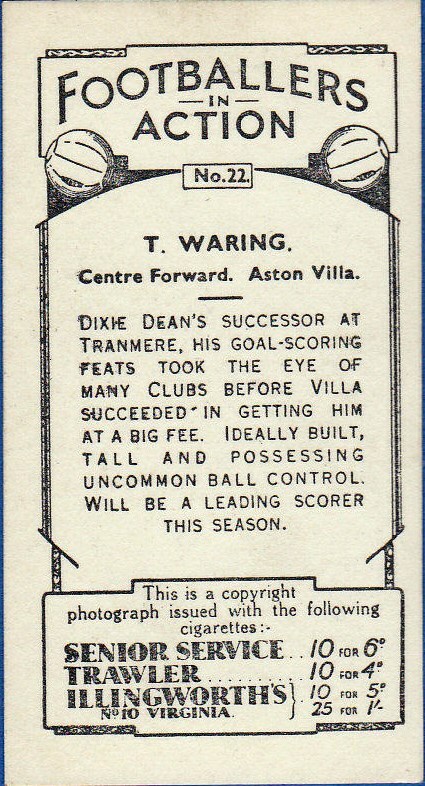 These exist in two variants: large titles at top; and small titles at top. 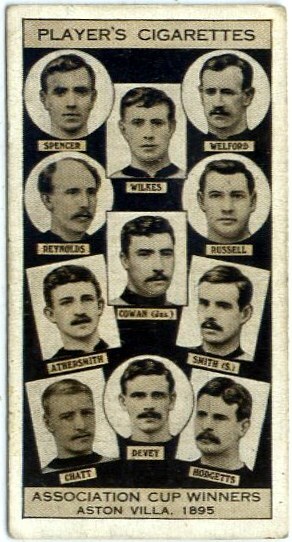 Each has slighly different portrait on front. 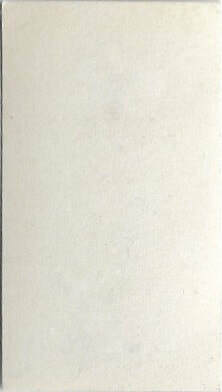 The set was re-printed in 1997 (as per small title series) and these have blue print on the backs. 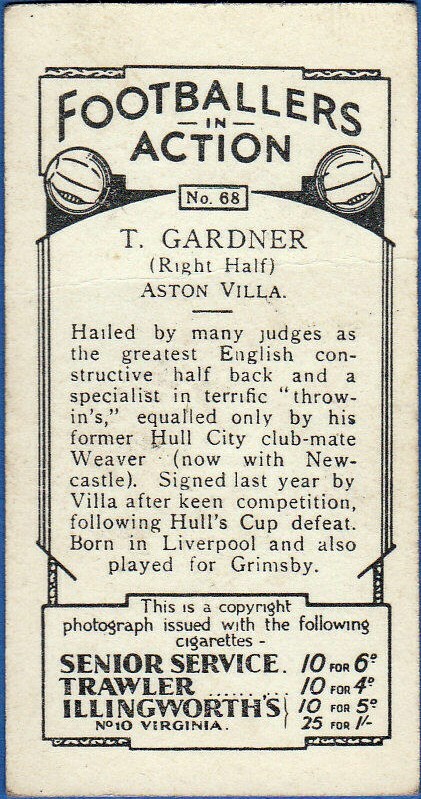 One of a set of 52 round-cornered cards, given away in four packs of 13 by Adventure comic. 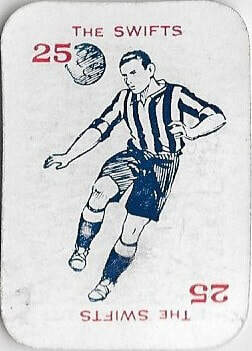 The backs of the cards are part of some sort of game, and the full collection makes up several make-believe teams. 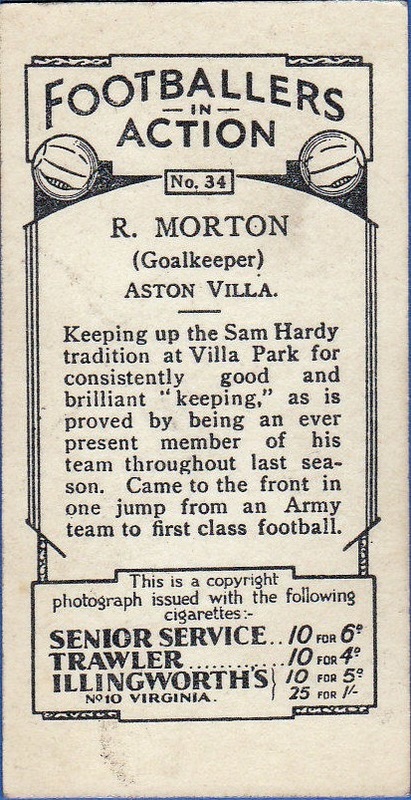 Morton's card is part of the sub-set for 'The Swifts'. 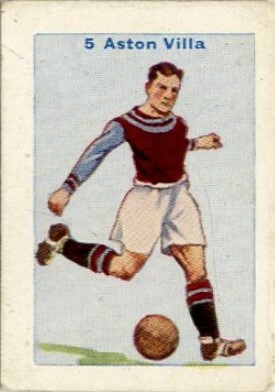 Set issued in two stages, running into 1935. 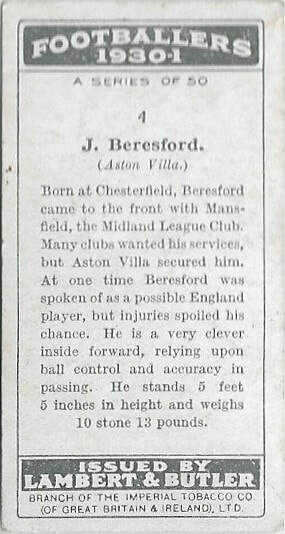 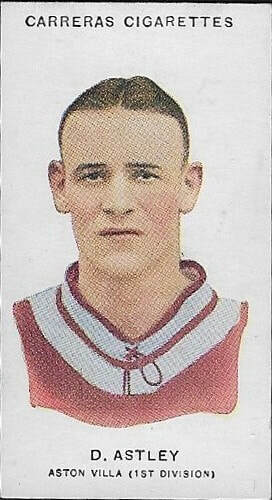 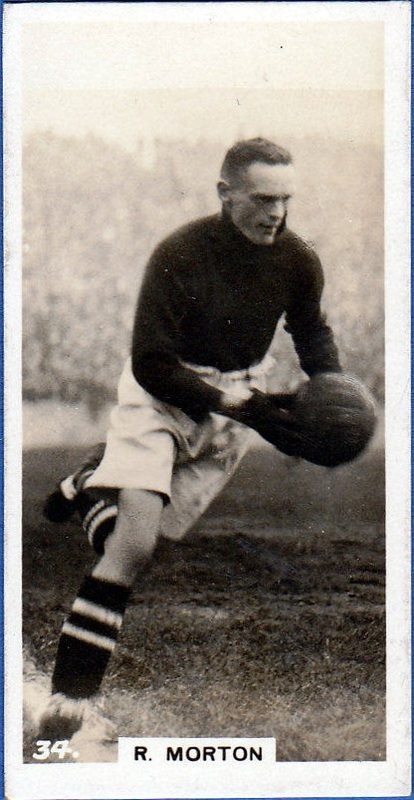 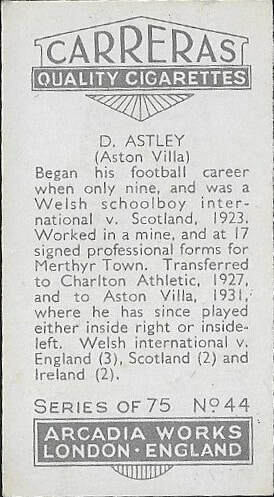 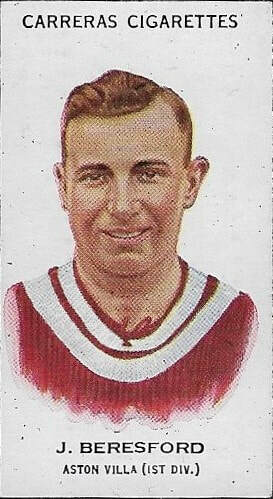 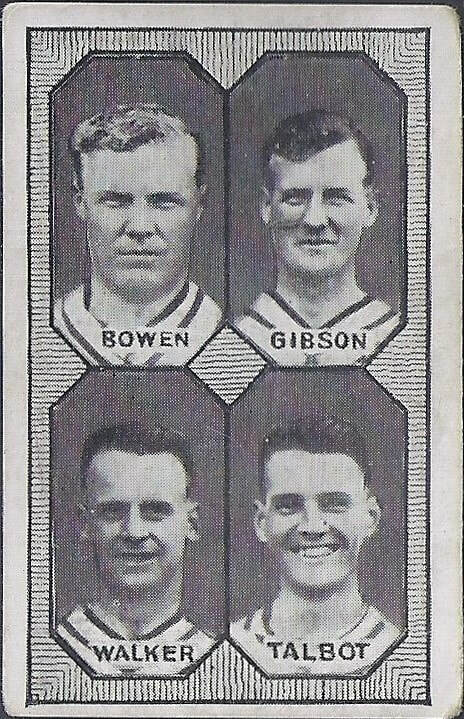 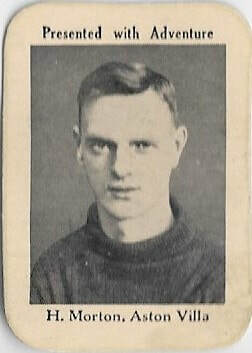 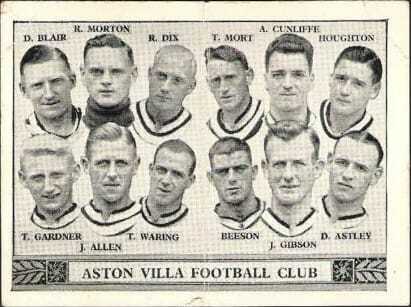 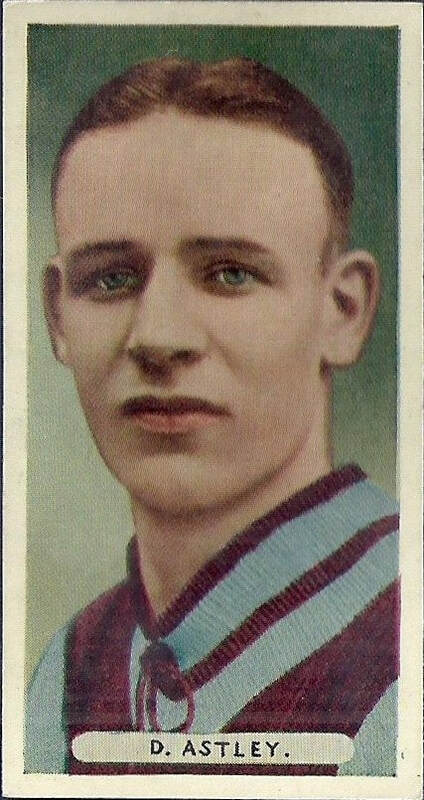 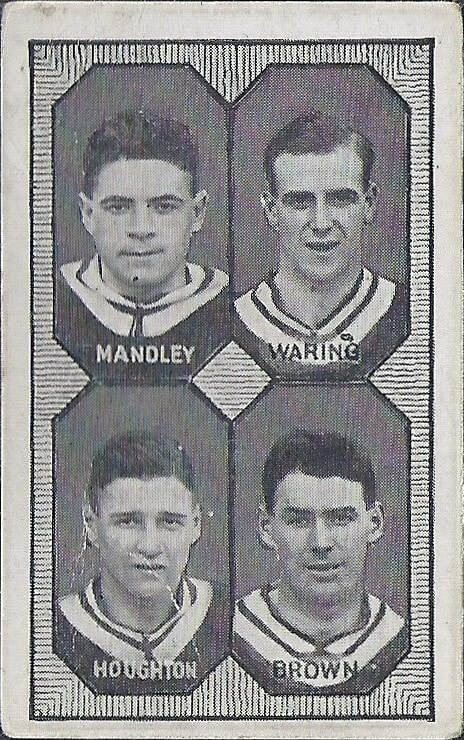 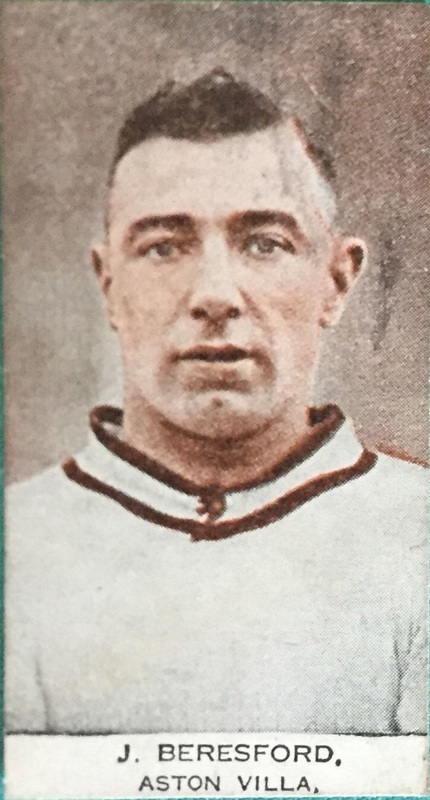 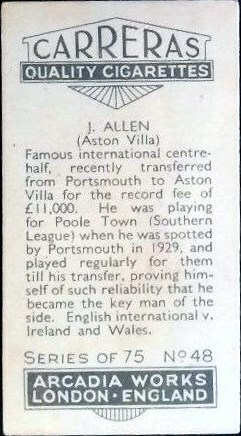 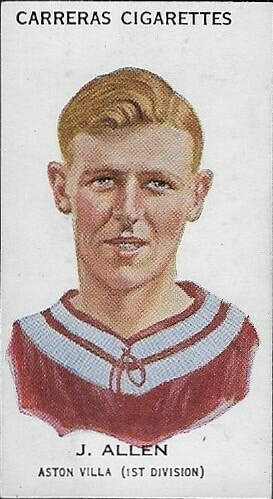 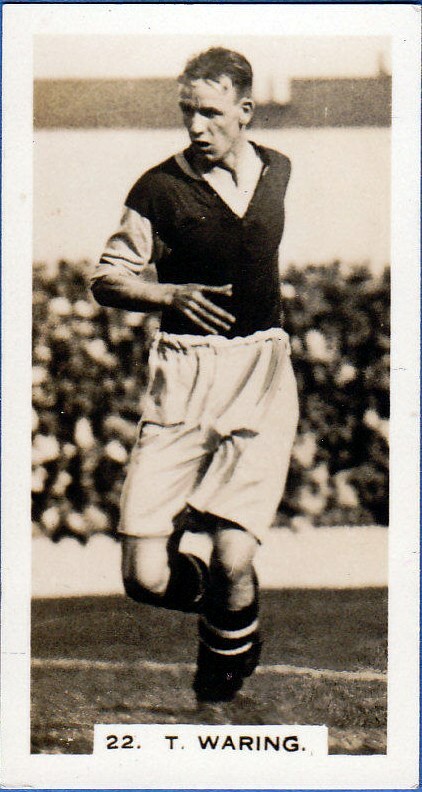 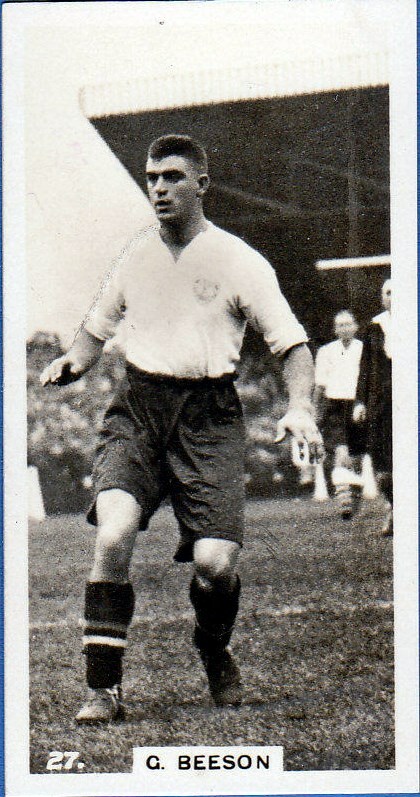 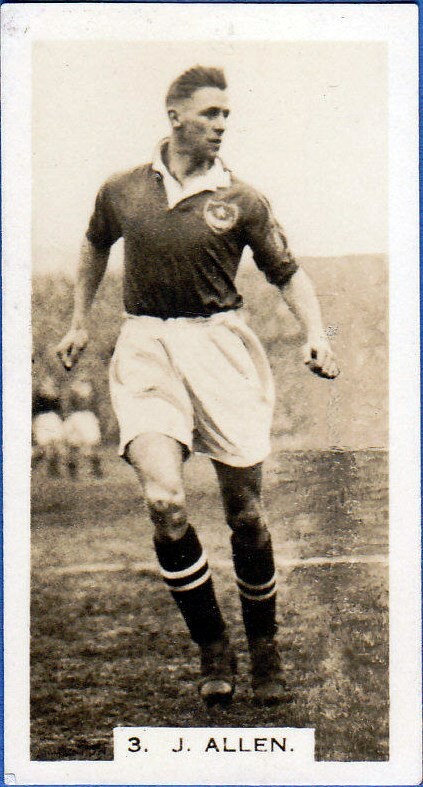 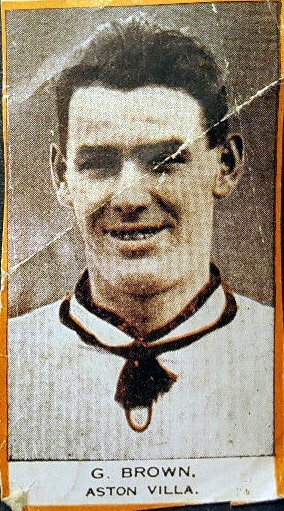 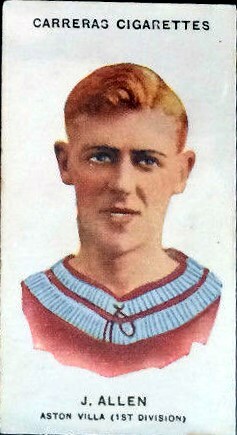 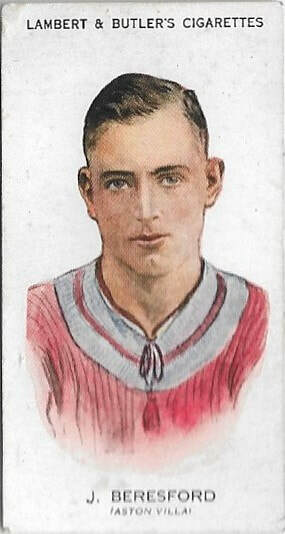 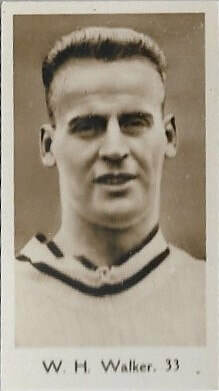 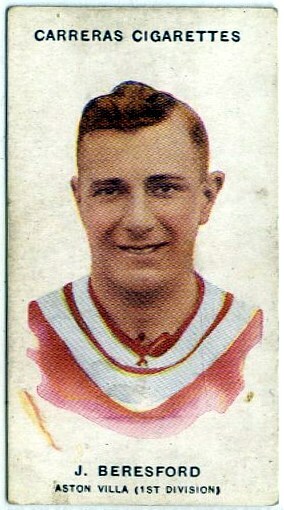 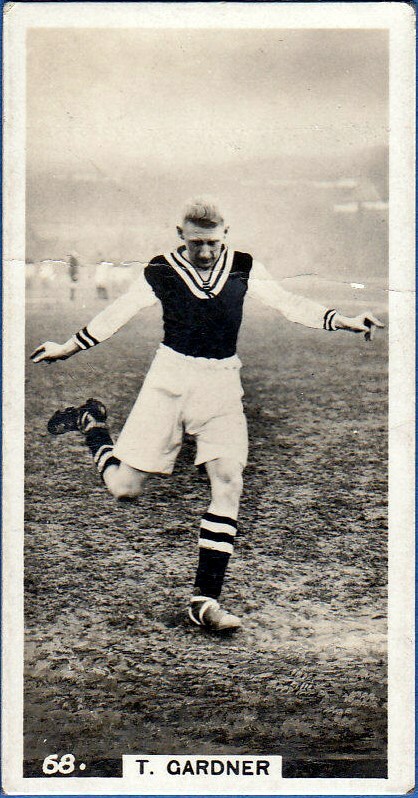 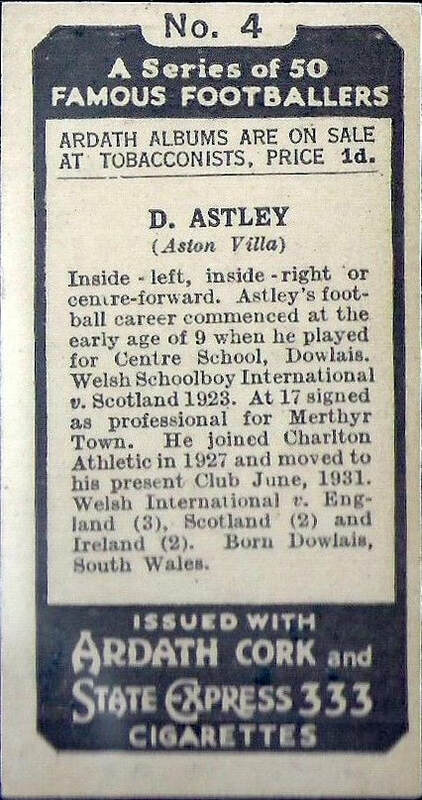 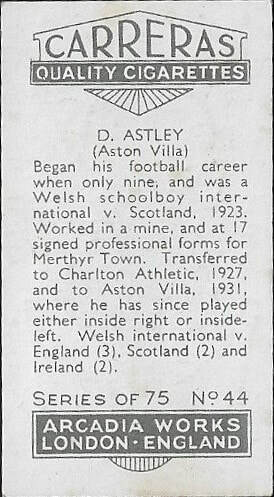 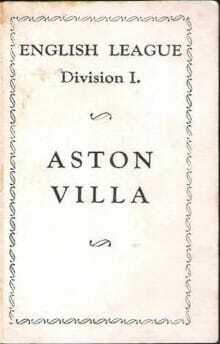 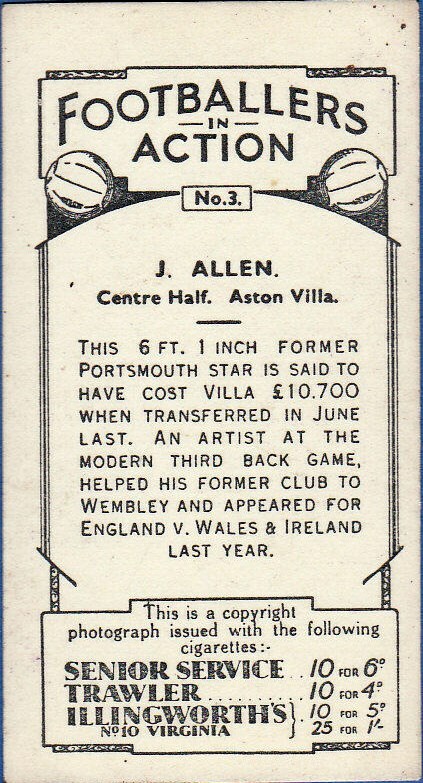 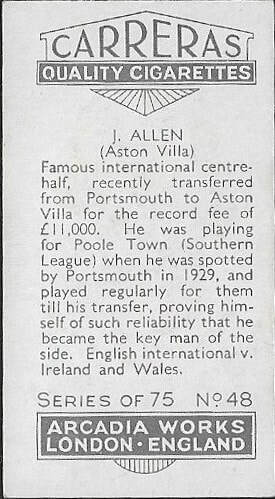 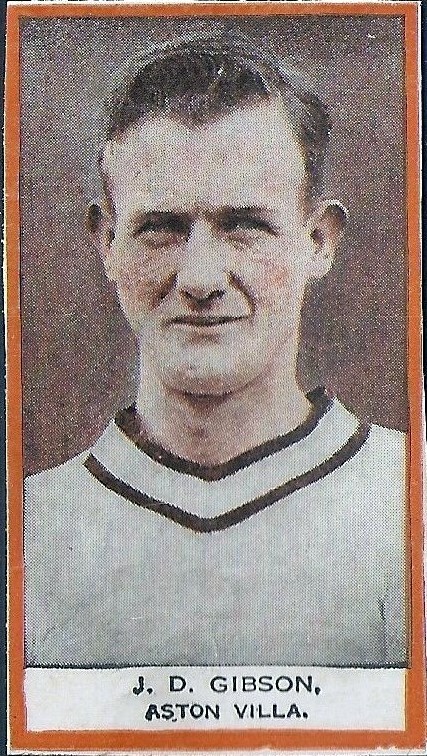 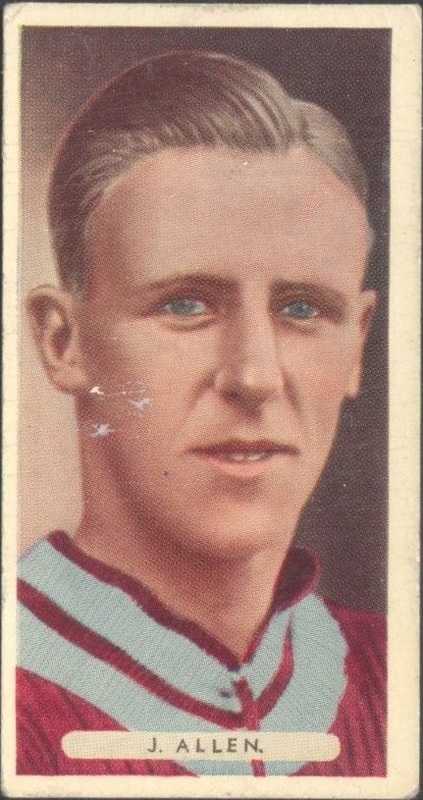 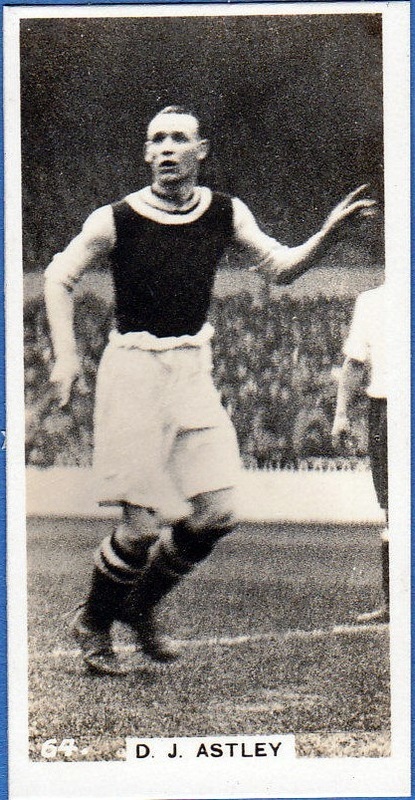 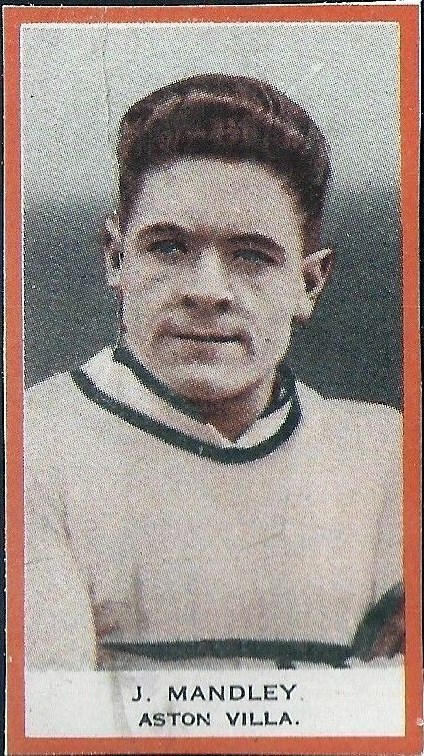 The sole Aston Villa card was from 1934.